While most of the prominent characters from The Avengers have gotten at least one solo film, we've never been able to say the same for Black Widow. Portrayed by Scarlett Johansson, the superhero has now been seen in six separate films in the MCU, but has yet to lead her own adventure. That is finally changing soon enough with the upcoming Black Widow movie, which will give Johansson a chance to shine on her own. Better yet for the actress, the role has gotten her a paycheck totaling a whopping $15 million. Of course, this amount isn't unheard of for certain performers in the MCU. Chris Evans and Chris Hemsworth both pulled in that same amount for their roles in Avengers: Infinity War earlier this year. Additionally, both actors earned that same amount with their solo films Captain America: Civil War and Thor: Ragnarok, and will reportedly pull in another similar paycheck with next year's fourth Avengers movie. However, Evans has announced this will be his final time portraying Captain America, leaving the future of that character uncertain. Still, this goes to show just how much money there is to be made by expanding one's film career with a meaty role in the MCU. Robert Downey Jr. was paid around $500,000 for the first Iron Man movie, which is small potatoes compared to his $50 million payout for the first Avengers. 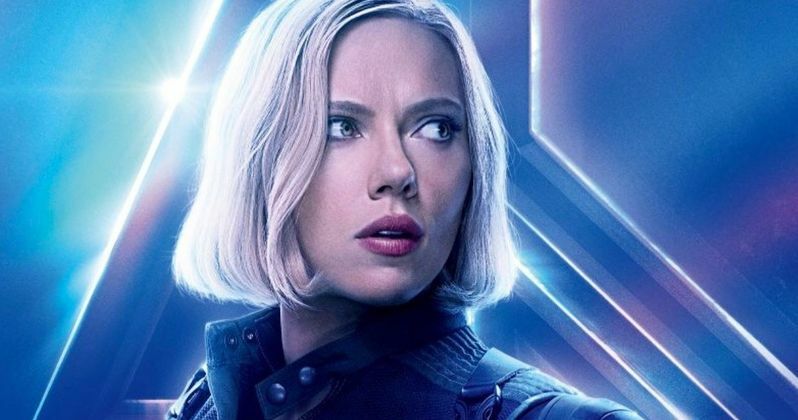 Reportedly, Johansson went on to pull in a low-seven figure paycheck for that same film, which was her second time playing Black Widow after the superhero's debut in Iron Man 2. With six appearances as the character under her belt, it's been more than enough time for Johansson to lead her own film, and it's nice to see her receiving such generous compensation. Related: Taskmaster Is the Main Villain in Black Widow? Profits can only continue to go up as the MCU gets even bigger. Earlier this year, Chadwick Boseman was given a seven-figure check to star in Black Panther, which became one of the most successful movies of all time. He will likely be given a much higher paycheck for its upcoming sequel as well. Of course, spending so many millions to keep these same actors on board seems very costly at first glance, but as these films are now all but guaranteed to hit the $1 billion mark in worldwide ticket sales. More than likely, Black Widow is going to be just as big of a hit as the other films in the MCU. Black Widow has been in production for many years, with Jac Schaeffer penning the script and Cate Shortland directing. All that we know so far is the character is finally leading her own story, which is especially exciting for her fans. Beyond Johansson's titular superhero, no other characters from the MCU have yet been confirmed to appear. Full details on the proposed plot are also unclear, but as production continues, we expect more information to become available in the upcoming months. This news comes to us courtesy of The Hollywood Reporter.